Somehow Lee Brice has done it again as he tells that same old story of long time friend to first time love with his hot new single “Rumor”. Give it a listen and tell us who has made you feel this way! Now how on earth did Old Dominion manage to make a story so naughty sound so nice? Hotel Key is their latest single and it’s just in time for the heat of the summer! Give it a listen and let us know what you think! Keith Urban is on a real run right now with an album of the most positive and uplifting songs of his career, and here he is with another one that’s sure to be a hit. Take a listen to “Coming Home” off Graffiti U, featuring guest singer Julia Michaels. Country superstar Cole Swindell just dropped his latest song, “Reason to Drink.” You can check out his live video for the track here. The infectious song is a preview for his latest album, All of It, which drops on August 17. The talented singer/songwriter’s lead single from the album, “Break Up in the End,” is climbing up the radio charts and already has over 17 million Spotify streams. Like and share Cole’s Facebook post here. Like and RT Cole’s tweet here. Check out Cole’s Instagram post here. Kenny Chesney knew why he wanted “Get Along” as the first single from his deeply personalSongs for the Saints, coming July 27. Beyond the feel-good lope to its groove, the message of inclusion instead of rancor resonated in the wake of too much news overload, screaming talking heads and a world seemingly intent on the differences instead of coming together. He knew, too, there was no better way to show that notion of inclusion in action than through his own No Shoes Nation, a country without borders filled with all kinds of people determined to enjoy the moment. So beyond kicking off his Trip Around The Sun Tour at Tampa’s Raymond James Stadium, Chesney wanted to capture the fun, friendship, laughter and good times that have been bringing his fans together for years. “The whole point of the song is to look for your common ground instead of worrying about your differences,” Chesney explains. “And when I look out into the crowd, that’s what I see: people who are having a great time, getting along and making the most of every single minute.” Mostly documentary from the parking lots, the stands, the sand bar and the stage, the Shaun Silva directed clip has the same euphoria and spirit that marks the song. Beyond Chesney’s signature high energy performance, there’s a solo turn on an Engel cooler, a low impact group jam from rehearsal, a heroic take on “Get Along” from the Buccaneers pirate ship and an impromptu run through the song on a pontoon boat in the middle of one of the lots. “It takes a lot to try to keep up with the No Shoes Nation,” Chesney admits. “With their rolling Tiki Bars, tons of sand, Blue Chair Bay cocktails and wading pools. They have as much fun waiting to get into the show as they do at the concerts, and I love that! I wanted this video to be a mix of how their world works and the way their passion inspires all of us up onstage. “It made for a couple long days, doing a video the same time we were starting a tour…But I wouldn’t have changed anything for the world!” With Chesney playing to record crowds at most of his stadium shows, “Get Along” is already Top 10 and climbing onBillboard and MediaBase charts. 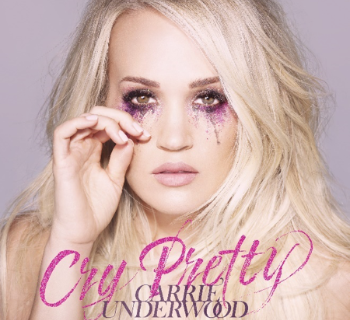 Described by the 8-time Entertainer of the Year as “a song for times like these from an album about the places that save you,” this song sets the tone for an album about hope in the hard places, acceptance of what is and the resilience to rise up and make your way no matter what’s in front of you. The darling of the jukebox, Kacey Musgraves takes us back to that first taste of sweet sweet love with her new single “Butterflies” off her 2018 album “Golden Hour“. 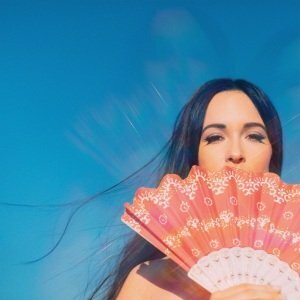 “Butterflies” was released to rave reviews, with NPR proclaiming it as “stepping easily beyond any genre category with a sunny sense that this is just where country should be these days.” The track is featured on Kacey’s critically-acclaimed new album Golden Hour, her third #1 debut on Billboard’s Top Country Albums chart. Golden Hour has been praised by everyone from NPR, Time, The Los Angeles Times, Rolling Stone, Billboard, Pitchfork, and The FADER, among others, with USA Today declaring “Golden Hour may be 2018’s best album yet,” and The Huffington Post calling it “the work of a self-assured artist breaking the mold instead of the younger version telling us that one day she would.” Kacey has performed music from Golden Hour on The Tonight Show Starring Jimmy Fallon, The Late Show with Stephen Colbert, TODAY, and The Ellen DeGeneres Show, and she will make her debut on Saturday Night Live next Saturday, May 12th. Kacey played Stagecoach festival this past weekend, with Noisey announcing her set “proves she’s the best future country music has” and The Los Angeles Times observing Saturday’s lineup “offered a triumphant set from Kacey Musgraves, who delivered on her early promise and handled her new stature as a soon-to-be headliner with confidence.” Kacey will wrap up her tour with Little Big Town this weekend, and will go on to support Harry Styles on his tour this summer. Kacey will kick off her headlining Oh, What A World: Tour this fall in Europe, with additional global dates to be announced. 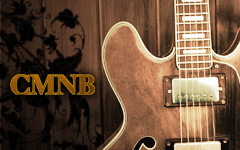 For more information, visit http://www.kaceymusgraves.com/tour.